The Maroons came in second place this past weekend at the UAA Championships. In the meet at Case Western in Cleveland, the team finished with 1,288 points, between Emory (2,112 points) and Carnegie (1,125). Emory, the defending national champion, won its 14th consecutive UAA title. Eight individual swimmers turned in all–UAA performances, including first-year Jennifer Hill, third-year Andrea McPike, first-year Bizzy Millen, and fourth-year Tara Levens who came in first place in the 200-meter medley relay. Emory or Chicago finished in the top three in nearly every race. The team also improved greatly over the weekend, taking back second place after the first day and working to expand their lead over the rest of the UAA teams. First-year diver Becky Schmidt agrees. The team went into the championships with high expectations. They have only lost one dual meet this season, and that was to a Division I school, UW–Milwaukee. The team had also been tapering off the intensity of their practices so that they would be fully rested for the meet at Cleveland. That strategy paid off, as some of the swimmers not only made impressive times, but also broke records. Mixing that hard work with strong upperclassmen leadership, a fast freshman class, and solid experience from every returning swimmer, the Maroons expected to have a great season and UAA finish. They know that their team is only going to continue to improve. In fact, the diving portion of the women’s team, along with their male diving counterparts, turned in such a great performance that d3swimming.com suggested that the unofficial slogan for the University of Chicago be changed from “where fun comes to die” to “where fun comes to dive.” The UAA Diving Coach Staff of the Year award went to coach Kendra Melnychuk. The great performance from the entire team came during a demanding meet. 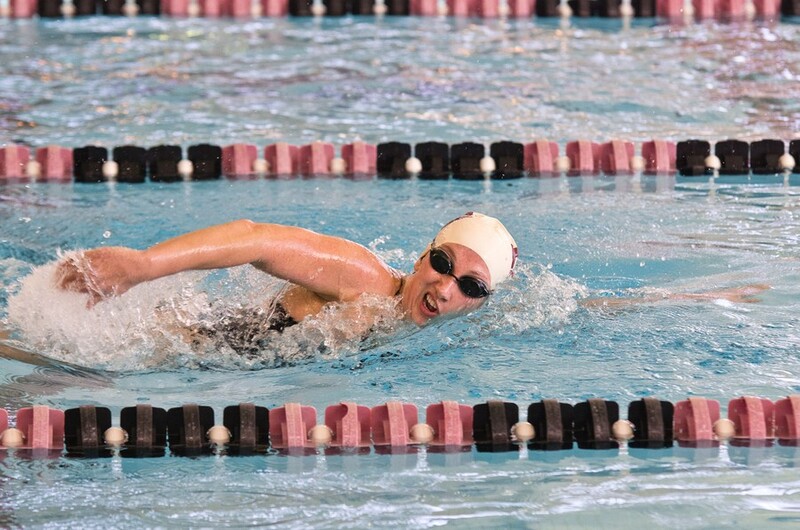 While the Maroons do swim in multiple-day meets over the year, this was by far the longest and most tiring. The Maroons look forward to their next meet, which is the Midwest Invitational. It will be held on Saturday at the Myers-McLoraine Pool on campus. It’s a chance for swimmers to qualify for nationals. But for right now, it’s a time to celebrate a fantastic weekend and let the good times roll. “We came in with the right attitude and left with it, as well,” Levens said. A second place trophy isn’t a bad thing to take home either.